We all have our bucket lists. Some want to scale the everest. Some want to go to the North and South Pole. HYDERABAD: We all have our bucket lists. Some want to scale the everest. Some want to go to the North and South Pole. Of course Antarctica has always remained a mysterious continent that seems to attract the scientists. But Q Experiences company says it can organiser a luxury trip to the ice continent and it is going to be a journey of a lifetime. We talk to Vasim Shaikh, Founder, The Q Experiences to know more. 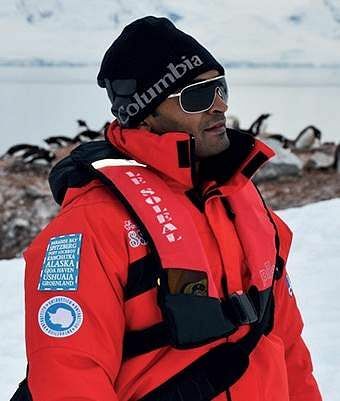 Is India ready to experience Antarctica. What would be the two things that you think India would find appealing in this journey? Yes, India has come a long way in terms of travel over the past decades. Indians aare as such avid travellers who are explorers by nature. Indians have been ready for The Q Experiences for a long time now. The era of mass tourism is passe. We are now in the times of cuarted personalised journeys. This is exactly what we offer at The Q. We offer the best fit for an Indian luxury traveller by mixing the truly global exposure with the expertise in Indian demand characteristics. - It is the first time such a curated journey to the seventh continent is being offered in India to the globe trotters who have had Antarctica in their bucket list for a long time. - The best ship that sails to polar waters. The Majestic Explorer is the best in class and technology that sails to these regions. 3. Up close and personal with the wildlife and the Antarctic atmosphere. Luxury as defined in the neo generation is of the experience and not just the being. With a team of experienced naturalists accompanying you for excursions and offboard activities which are designed to give you a first-hand take at the remotest location on earth, this journey is one in a lifetime. Give us a glimpse of the kind of luxuries that it offers. Perhaps a bit about travel, room and activities? Beginning on the December 9 till 19, over these 11 days, one is sure to miss out the count of days on the Majestic Explorer. It is not only because of the endless daylight that is going to shower pleasant warmth over us, but also because of the seamlessly smooth sailing through picturesque mountains, icebergs, glaciers and ice sheets. We sail through the renowned whaling stations which remind you of an era of exploratory sailors who fathomed to sail to such locations. The weather’s finer now and the thought disappears as you sip on your tea which brings you back to the comforts of modern life. One can participate in the excursions outside of the Majestic Explorer on the zodiacs and can now reach out to the endless beauty that this land has to offer. With every landing comes a new experience; sometimes it is of history, other times of penguins, then icebergs and even a post office to send postcards home. You will be spoilt for choice with the best culinary offerings you could have imagined with Chef Atul Kocchar on board to curate the Indian dining experience and Alai Duccaise counsel to enhance global cuisine. Guests are welcomed to high tea, and knowledge sharing events which will give each guest ample time to know their fellow travellers better and bond. Having taken a pinch of a wonderful day at Antarctica, one retires to his/her room which are in itself a state of the art masterpiece designed by the French, Jean Phillipe. Of course the sense of exploration never seizes to exist even on board as guests can indulge in various activities and amenities provided within the ship such as Hammam, spa, gym salon and library. The Captain’s bridge is always open for guests who wish to experience the best possible views. What is the cost per person for someone from India to look for this? When does the booking begin? For someone from India it would roughly cost around `10-11 lakh per person for a complete journey from India to Antarctica and back. This is the base fare, depending on the category of room/ suite chosen by a guest, it will be range higher. We are at the last leg of our bookings and will be closing shortly. 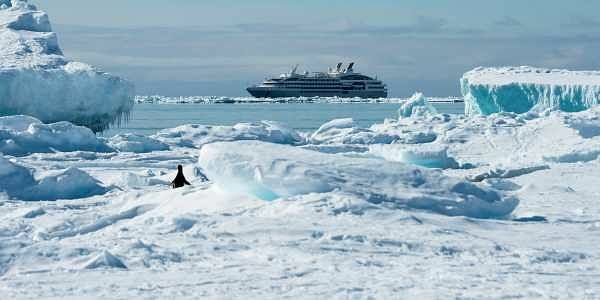 Bookings for the Antarctic journey in 2018 will begin soon. How does Q Experiences make sure that the subhuman weather does not interfere with the fun and health of travellers? We are visiting Antarctic Peninsula during the summer months where the temperature is zero degrees. The temperature inside the ship is well controlled and the guests are advised to carry casuals with them for the ship time. For excursions outside, a complete list of clothing requirements is shared with the guests well in advance. However, the most essentials viz-a-viz polar parka (windbreaker jacket) and boots will be provided on the ship to each guest. For any health related issues we have a fully equipped medical centre. Any health/age/height criteria to be part of the voyage? Barring children below five, everyone else is welcome on board.